Caity Bell, from Fort Payne, AL, graduated from the University of Alabama in 2018 with a B.A. in anthropology and religious studies. In addition to her M.A. in religion in culture, she plans to obtain a museum certificate from the university in order to better aid her research, which examines the various ways museums both construct and influence representations, particularly those of minority groups in the United States. She hopes to one day work in a museum and provide a better life for her two guinea pigs. Savannah graduated from St. Thomas Aquinas College in May of 2016 with a Bachelor of Arts in English and Philosophy/Religious Studies. After a short break from academia, she is excited to pursue her Masters degree at the University of Alabama. Her current interests are in the intersection of religion and politics in America, with a special interest in fringe groups. You’ll most likely find her curled up with a book in the corner of the library. Her hobbies include research, writing, reading, teaching, and talking philosophy with friends around a bonfire. Emma Gibson is from Charleston, SC, and received her B.A. in Philosophy from Furman University in 2017. Her favorite book is Sirens of Titan by Kurt Vonnegut, and her favorite movie is The Life Aquatic. She likes to spend her free time cracking jokes with her friends, reading, or eating great tacos. Her area of study includes philosophy of religion, primarily from the continental perspective. Her life goal is to be a full-time philosopher and (hopefully) find a way to earn a living doing so. Sierra is from Wyoming and completed her B.A. in anthropology, religious studies, and Spanish at The University of Alabama. 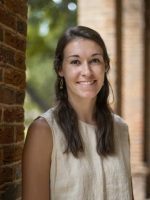 She has produced and presented award winning research on the role of myth at The University of Alabama and the floral engravings on gravestones in Tuscaloosa county. While working in the restaurant industry as a teenager, Sierra became fluent in Spanish and plans to focus on immigrant communities in the United States in her future academic endeavors. 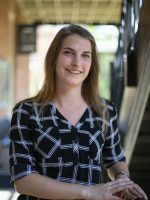 She has worked as a research assistant to multiple projects and groups at The University of Alabama and hopes to continue this work. 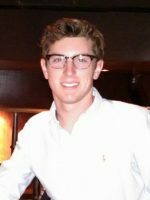 Matthew is from Huntsville, AL and received his B.A. in Religious Studies and Political Science from the University of Alabama in 2017. He is interested in combining these two disciplines and studying the effects of religion in contemporary American politics. Particularly focused on competing perceptions about Christianity and the ideal relationship between church and state, he hopes to find new ways to think about how these issues impact not only elections and policy making but also the religion itself and the way individuals identify with it. 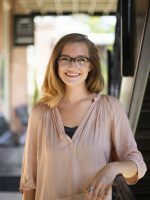 From Huntsville, AL, Keeley McMurray graduated from the University of Alabama in 2018 with a BA in Religious Studies and English and a minor in Theater. She is primarily interested in how “religion” and its orbiting discourses can be studied as rhetoric, deployed as a tool used to organize and reproduce a specific social world. Specifically, she is curious as to how this rhetoric functions in American politics and law, as a necessary feature that works to negotiate similarity and difference by creating governable individuals. When she’s not lost in quiet contemplation, Keeley enjoys animals, live music, and a lot of laughing. She hopes to be a lifelong learner, teacher and friend to all. 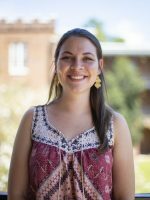 Ana Self Schuber is currently the Program Manager for the New College LifeTrack Program on the UA campus, which assists adult students in the completion of their bachelor’s degree. 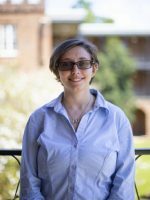 Ana has been an instructor for various programs at UA since 1991 and begins the MA in Religious Studies part-time in the Fall of 2018. She has taught courses in the Folk Arts and Haunted Alabama, and belongs to the Alabama Folklife Association, the West Alabama Quilters Guild and the Alabama Gravestone Society. She received a B.S.E in Theatre/Speech and English from Central Missouri State along with a M.A. in English. Additionally, she completed a M.A. in Women’s Studies from The University of Alabama. 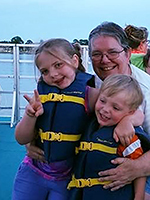 She has three grandchildren and two dogs and loves quilting, crocheting (which she does in class and meetings) and camping.